Light My Fire's Spork and Carry Case is the perfect accessory for around the campsite. 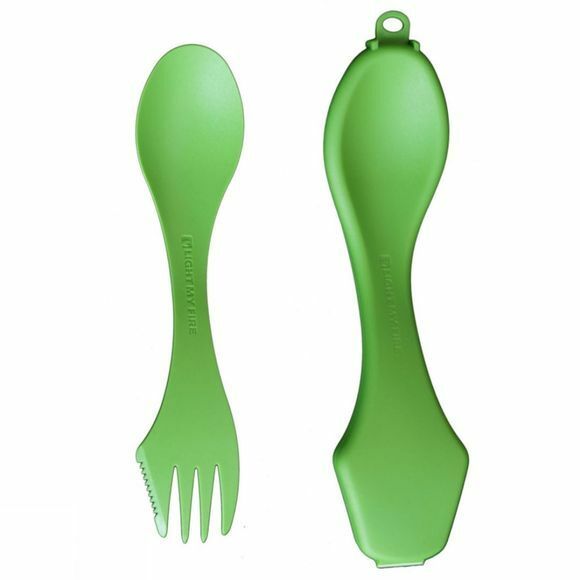 The spork is perfectly suited for your boat, picnic basket, lunchbox, briefcase and backpack. With 3 pieces of cutlery merged into one, you can eat your food however you like and it means that you don't need to carry heavy and additional items of cutlery with you. The case does an excellent job of keeping the dirt away from your eating tools when its not in use and the eyelet, allows you to keep it within hands reach at all times.